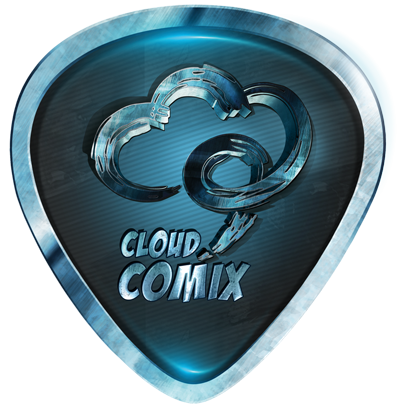 Welcome to the all-new Cloud 9 Comix and the long awaited web platform, that for the first time offers are readers not only to purchase the comics, but also read them within their web browser. This is a landmark event for us as we are no longer dependent on platform specific apps such as iOS and Android. We will however keep our iOS and Android apps around for some time, but our main focus will be on the web platform. The apps will be updated to unify user accounting and allow the purchased comics to be synced with the apps. Cloud 9 Comix is a digital comic book publishing arm of Spectrum Pacific Publishing which was founded by Benjamin Slabak in 1996, in Sydney, Australia. Having produced and published over 30 computer games, Spectrum Pacific Publishing moved towards print publishing in 2009 and digital publishing in 2010, with Cloud 9 Comix. We have grown up with comics, particularly the Italian Fumetti comics, and the move towards comic book publishing has been in the works since 2003. The introduction of iPad and tablet technology finally made this venture possible and the digital comic book industry has boomed since. We hope you enjoy our comics and we can't wait to bring you some more truly awesome comics from all corners of the globe. We are always on the lookout for new talent, and if you would like discuss the possibility of being published by Cloud 9 Comix, please contact us, we would love to hear from you!